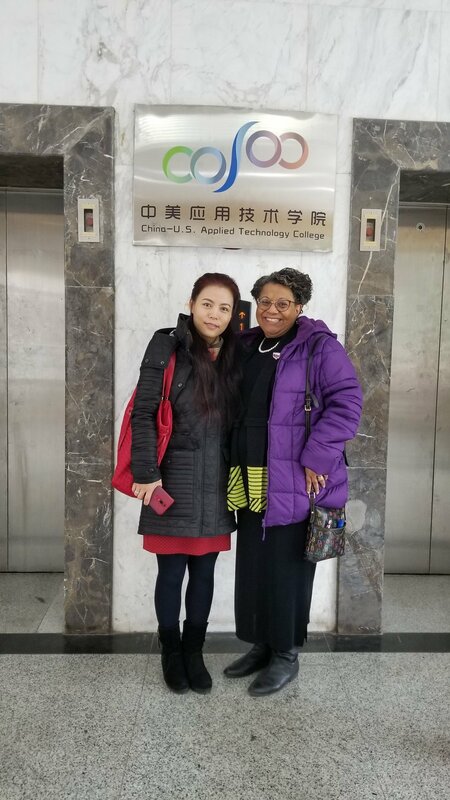 Dr. Evie Myers traveled to China this month to promote Study Texas and further opportunities for our members to engage with Chinese institutions and students. 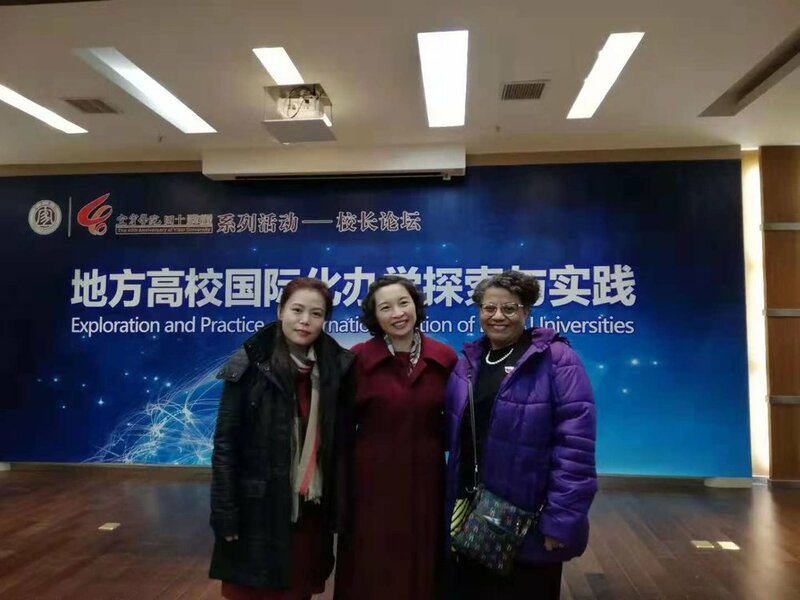 Dr. Myers gave a keynote speech at the China-foreign Cooperation Program Forum regarding the theme of "Opportunities and Challenges of China-US University Cooperation’. 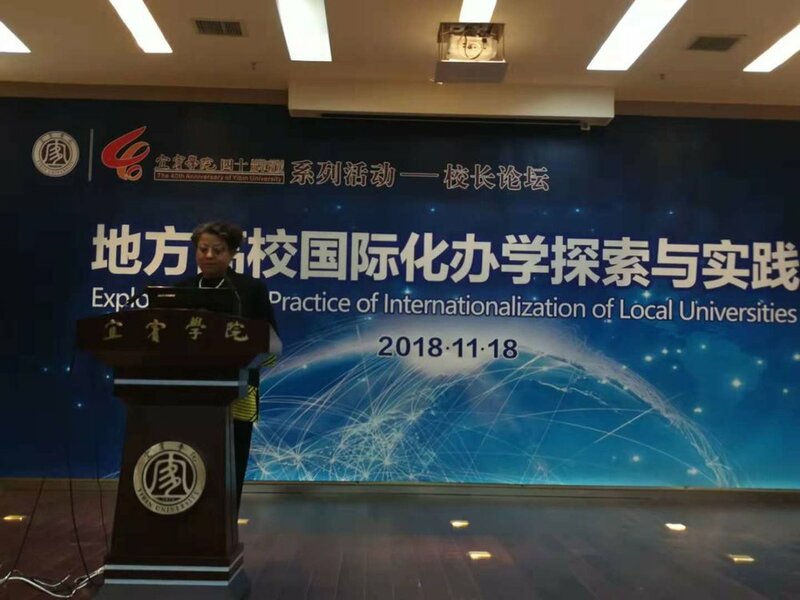 The conference was held in Zaozhuang, Shandong Provice and took place on 16-17 November. It was hosted by the National Center for Schooling Development Programme and supported by both the Shandong Provincial Education Department and Zaozhuang University. The theme of this conference was to explore how to promote the innovation and upgrading of the Industry-education Integration Model. While at the conference, Dr. Myers signed an MOU on behalf of Study Texas with Global Advanced Technical Education (GATE). For more information, please email admin@studytexas.us. 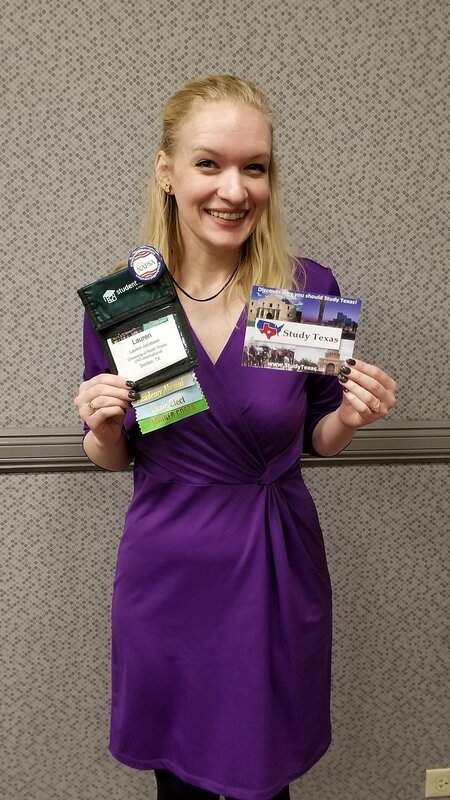 Dr. Evie Myers, Study Texas board chair, is at the NAFSA Region III conference in Little Rock, AK. Dr. Myers is busy meeting with current Study Texas members, as well as driving new membership commitments. Let us know if you have any questions! Study Texas supports the efforts of the Everest Education Fund. The Fund aims to provide financial support to high achieving, high impact, and high need students who wish to access higher education abroad. Everest Education Fund believes that #onesmallthing can make a huge impact. One student accessing higher education abroad can positively affect an entire community. World Education Services (WES), a non-profit organization which will be celebrating 45 years’ experience and leadership in international education research and foreign credential evaluations in 2019, invites you to “Bringing Best-Fit International Students to Texas” a free, interactive, one-hour WebEx webinar exclusively for Study Texas members and their guests on Thursday, December 13th at 12pm CST. This interactive presentation is specifically designed for all international admissions and student services staff and leaders to discuss the latest data, trends, and issues impacting international student mobility and strategic enrollment management at the bachelor’s and master’s levels. Contact admin(at)studytexas.us for more information on how to register for the webinar. 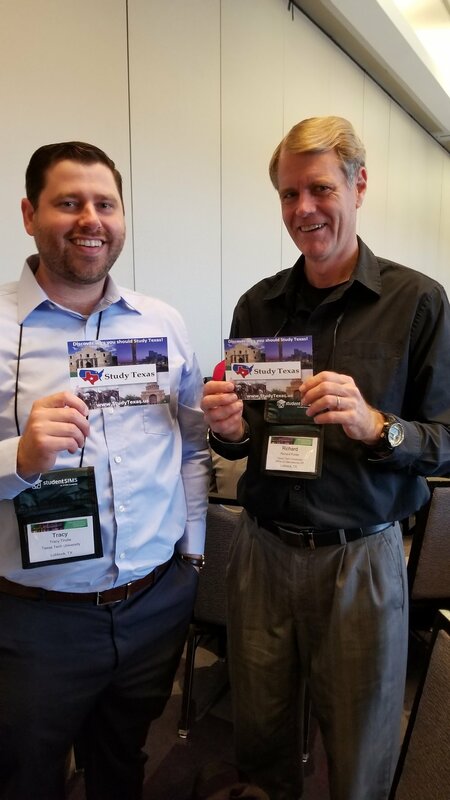 Study Texas hosted a breakfast event at the NAFSA Annual Conference, which was held in Philadelphia at the end of May this year. Over 40 international education enthusiasts joined representatives from Texas colleges and universities for a delicious breakfast before a busy day at the NAFSA conference. Guests included EducationUSA advisors from around the globe and colleagues from international institutional partners. 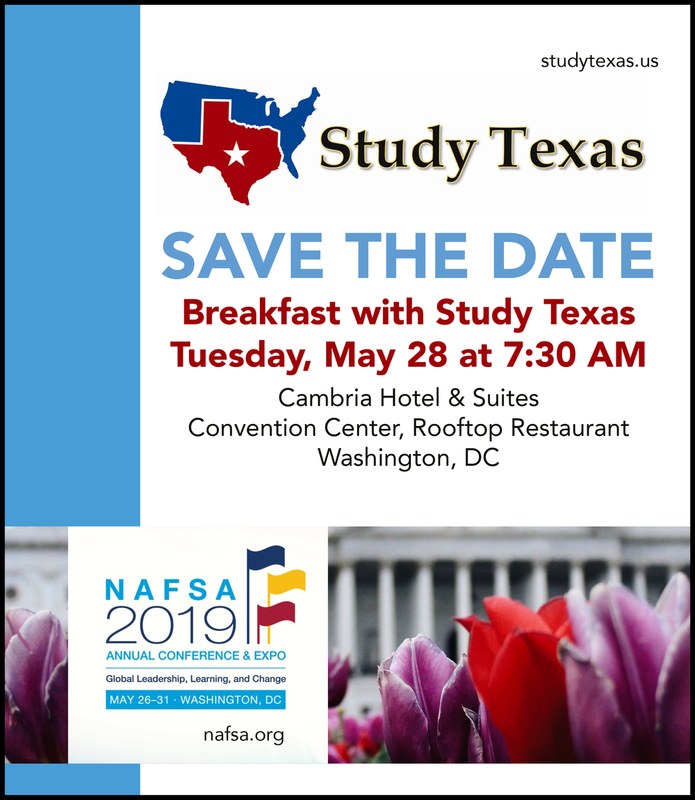 We look forward to hosting another breakfast next year at NAFSA 2019. Hope to see you there! 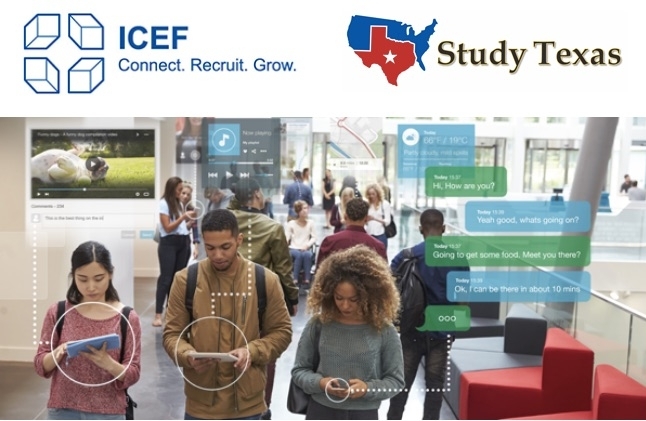 Study Texas is pleased to announce our collaboration with ICEF to bring you a webinar on: International Student Marketing and Recruitment. ICEF has more than 25 years experience in international student recruitment. We work with educators to help them create strategies to effectively attract and retain international students. This session will examine how to best position your institution and make sure international students are finding the right information about you at the right time. A group of US study state consortia are lobbying the US Department of Commerce to maintain its services to education amid ‘warning signs’ that the support of education as a service export is no longer going to be part of the mandate for the US Commercial Service. n a letter seen by The PIE News, the group highlighted the successes of the US international education industry, which it said are in large proportion attributable to the support of the department. The letter, drafted by Study California and co-signed by other study state consortia, asked the department to continue supporting vital services for the international education industry such as market research and outreach, the US Pavillion at NAFSA and planning for events abroad and in the US. The other signatories to the letter were Study Hawaii, Study Massachusetts, Study Minnesota, Study New York, Study Oregon and Study Texas. Visit The Pie News to read more. Study Texas, in cooperation with Education USA and the Mexico College Fair Tour, is pleased to offer its members an opportunity to recruit international students in Mexico. Registration for Education USA: US-Mexico Academic Mobility Fair segments are open at http://bit.ly/2017USMexicoFair, and registration for the Mexico College Fair events is open at https://sites.google.com/site/mexicocollegefairtour/home/. The mission will begin at 6:00 p.m. on Thursday, October 12th with a Study Texas Networking Reception to meet education agents, guidance counselors, media, and colleagues. The host hotel is the J.W. Marriott, where Study Texas members will receive a discounted government rate via the U.S. Commercial Service. Study Texas will provide designated bus transportation on October 14th for its members given that day’s hectic schedule; each other day will have transportation provided by event sponsor. Please contact Steven.Garrett@trade.gov and Martha.Sanchez@trade.gov with any questions regarding this Study Texas Mission to Mexico. An optional agenda available to interested members separates from the main group beginning Monday, October 16th traveling to San Miguel for a Partners of America, Higher Education Partnership Conference, and FPP Student Fair. Acts of Kindness..pass it on. Does your institution have a Travel Risk Management program? Not sure? Join us to find out how to ensure that your institution has you covered! Presentation from experts at Talus Group LLC, who will review best practices when travelling internationally and provide the outline for a robust travel risk management program. Peer case - institution sharing their best practices and how they developed a program after a triggering incident. Learn about an online tool to assist international educators in tracking and analyzing return on investment (ROI) metrics. The ROI model looks at the investments of staff time and budget for student recruitment, and the corresponding returns. It also aims to factor in more subjective, qualitative variables that play an important role in shaping returns on marketing and recruitment activities. Learn about how you can strengthen your decision making around recruitment strategies and budgets. Cheryl Darrup Boychuck of INTCAS and George Kacenga of University of Colorado will present the model and share their experience. Study Texas is super excited to announce our 2017 mission trip to Hanoi and Ho Chi Minh city, February 28th - March 4th. Want a more detailed itinerary for the mission? Email admin@studytexas.us. Thank you EducationUSA, U.S. Commercial Services, and to the institutions that made this years mission a huge success. Here are some photos we took during our high school visits! Until next time Colombia - it was a treat! The Study Texas Board is excited to announce the next Study Texas Mission Trip to Bogota, Colombia. We had previously discussed visiting Vietnam this fall, and due to changes with the Study Texas Board, we were unable to plan the trip for this fall. The Study Texas Mission Trip to Vietnam has been pushed to the spring, tentatively scheduled for February 2017. As we have visited Colombia previously, we were able to plan a mission trip for this fall. EducationUSA Colombia is coordinating the mission for Study Texas, with the help of the U.S. Department of Commerce. We'll be visiting high schools in Bogota, Colombia in addition to an EducationUSA Study Texas Pavilion and Recruitment Fair. Within the next week, we will have more updates regarding the schedule. Greeting from U.S. Commercial Service Jakarta. CS Jakarta supported EducationUSA Indonesia for their upcoming U.S. Graduate School Fair 2016. The fairs will be held on September 14, 2016 in Malang-East Java and September 15, 2016 in Jakarta (Capital city of Indonesia). Last September 2015, EducationUSA Indonesia hosted its successful Graduate Fair in Yogyakarta-Central Java and Jakarta with more than 2,500 prospective students met with admissions and alumni representatives of twenty-five U.S. universities. They are expecting there will be more U.S. university representatives and also Indonesian people coming to this year fair, as the number of scholarship opportunity in Indonesia is also increasing, like LPDP, USAID Prestasi, Fulbright, DIKTI, etc. Based on data from 2015’s Open Doors report, there are more than 8,100 Indonesians are currently studying in the U.S. and it is expected the number to continue increasing. If you have any questions or would like to discuss about this fair, please kindly contact Amira Yunus – EducationUSA Indonesia Country Coordinator at YunusAF@state.gov or David Ongkowijoyo at OngkowijoyoD@state.gov . - We provide lunch or dinner during the exhibitions for participants/registrants. All information can be found on the Eventbrite registration. East Africa - who's ready? Greetings from East Africa, and we trust this finds you well. We take this opportunity to invite you to participate in the 2016 edition of EdExpo Africa Fall, a series of two student recruitment fairs starting in Tanzania on 10th September 2016 and end in Kenya on 17th September 2016. Organized by Catalyst International, EdExpo Africa Fall will be an exceptional source for international student recruitment for your institution, while you reach out to the next batch of aspiring under graduate students and Masters & MBA candidates. We have on offer for you booths or working space with table and chairs, which are inclusive of air travel between the four fair cities, transfers and accommodation for one representative at each of the fairs, if you register for the full tour package. Registration is ongoing, but on a space available basis. For more information and event details for EdExpo Africa Fall 2016, visit http://edexpoafrica.com. - Post Expo Student Data Base. Download registration forms from http://edexpoafrica.com/images/EdExpo_Africa_Registration.pdf, complete, stamp, scan and email to register@catalystexpo.com. Study Texas is happy to host another NAFSA Breakfast this year for the Annual Conference & Expo in Denver, Colorado. Come join us for a delicious breakfast and learn more about the institutions in Texas and services that we offer. Join us on Wednesday, June 1st at The Delectable Egg, located on 1625 Court Pl, Denver, CO 80202 (only a 10 minute walk from the convention center). Breakfast will begin promptly at 7:30am. RSVP now to secure your spot! Don't miss out - click here to RSVP now! The American School Foundation of Monterrey is a private, international, nonprofit, and co-educational Nursery-12 school located in Monterrey, Mexico. Prepa Tec is a private institution affiliated with the Tecnológico de Monterrey educational system. Safe travels and thank you to everyone you made this possible!